The Manushya Foundation: Empowering Communities; Advancing Social Justice. “Manushya” is a Sanskrit term being understood by many communities across Asia and in the world, meaning “humans”, “human being”, or even “human rights” (such as manusia in Bahasa or Malay). 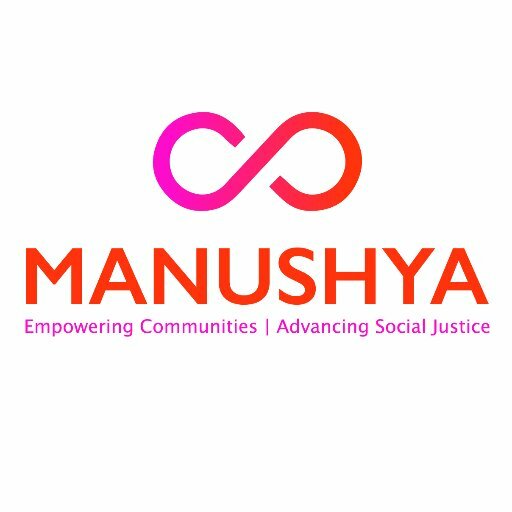 Founded in 2017, Manushya Foundation is an Asia regional non-governmental organisation aimed at empowering communities to advance Human Rights, Social Justice & Peace. Manushya Foundation serves as a bridge to Engage, Mobilise, and Empower Agents of Change by: connecting Humans through inclusive coalition building; and by developing strategies focused at placing local communities’ voices in the center of human rights advocacy and domestic implementation of international human rights obligations and standards. Manushya Foundation strengthens the solidarity and capacity of communities and grassroots to ensure they can constructively raise their own concerns and provide solutions in order to improve their livelihoods and the human rights situation on the ground. We Believe in the Infinite Positive Power of Humans in building inclusive, just, equal, sustainable and peaceful societies in Asia; where individuals, communities, governments and non- state actors respect, fulfill and advance the enjoyment of universal and indivisible human rights for All, leaving no one behind. We connect diverse and inclusive communities of Humans across Asia through coalition building, to ensure they are at the center of the human rights and sustainable development responses of their countries. By building capacities on human rights monitoring mechanisms, sharing experiences, developing innovative strategies and strengthening solidarity, Manushya Foundation empowers communities to advance human rights, social justice and peace. ENGAGE communities by building their capacities on all UN human rights mechanisms to ensure their effective participation, and by providing them with the tools to efficiently build credible evidence and monitor the human rights situation on the ground (human rights documentation) to hold their government accountable on their human rights obligations. MOBILISE communities around human rights movements, by building CSOs coalitions comprising all human rights issues, where communities are treated equally and can build solidarity and where all human rights are equal (civil and political rights as well as economic, social and cultural rights). EMPOWER communities by ensuring they are at the center of the human rights response in their countries, engaging constructively and providing solutions to their government to improve the human rights on the ground. By applying a bottom-up approach, communities will own their issues, provide solutions and become the agents of change in their countries. Communities will bring back solutions at the local level to further empower their peers, ensuring no one is left behind. The Manushya Foundation is a small NGO, with the advantages and constraints attached. Every staff member and/or consultant plays an important role and carries responsibilities. Dedication is key as it greatly impacts the work of the organisation. It is therefore necessary to embrace the vision and goals of the organisation and fully commit to its success. The Junior Human Rights & Advocacy Officer is a consultant tasked to carry out the role of « Junior Human Rights & Advocacy Officer » until the end of March 2018. Under the supervision of the Executive Director and working closely with the Capacity Building Coordinator and M&E Officer, the Junior Human Rights & Advocacy Officer will be responsible for supporting the human rights advocacy work of Manushya Foundation under the project: “Improving Human Rights in Thailand: to ensure a meaningful engagement of all stakeholders in Thailand’s UPR and an effective implementation of UPR recommendations in order to improve the human rights situation on the ground, thereby supporting greater stability and prosperity in Thailand”. The project is funded by the UK-FCO Magna Carta Fund, administered by the British Embassy in Bangkok, Thailand. Develop the monthly human rights situation update: gather the desk review research and field visits to develop the monthly human rights situation report for public dissemination. Strengthen communities' engagement in UN human rights monitoring mechanisms (UPR, treaty bodies, special procedures) by supporting their participation in the advocacy phase (development of submissions, advocacy fact-sheets, complaints, advocacy materials and liaison with partners and coalitions) and in the implementation phase (domestic implementation of international obligations on the ground). Finally, the Junior Human Rights & Advocacy Officer will be deeply involved in the implementation of international human rights obligations on the ground and experience a first-hand insight into the work and functioning of a small NGO. Ability to take initiative, to work unsupervised and to take responsibility for managing relationships with partner organisations. Email subject: "Junior Human Rights & Advocacy Officer"
Deadline is 17 August 2017.